From running to backpacking to hiking, there are plenty of outdoor activities we all love doing. But, it’s always a pain carrying around a big water bottle, especially when you’re moving quickly. With the Sport Force Hydration Backpack, make hydration hassle-free with a versatile pack that holds two liters of water. 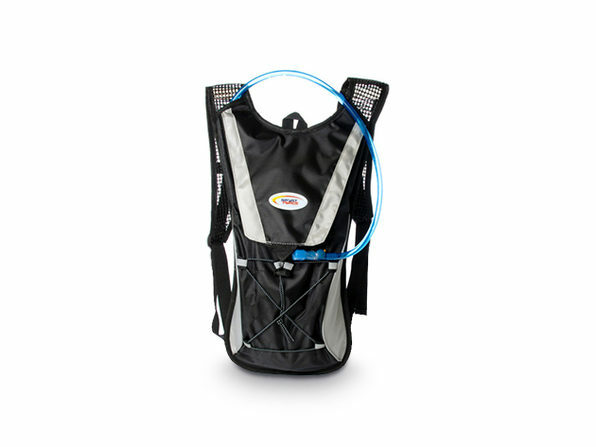 This pack makes it easy to stay hydrated when you’re out and about. For starters, the pack lets you tote around two liters of water, which is plenty to get you through a strenuous hike or run. What’s more, the pack’s bladder and nozzle let you easily drink water while on the move, ensuring you don’t have to stop every couple of minutes to pull out a clunky water bottle. On top of all that, the pack — which comes in black, red, orange, green, and blue color options — gives you, even more, convenience and comfort. This means you can stow away snacks, keys, and other everyday essentials within the inside pockets. Plus, thanks to the pack’s adjustable straps, you’ll get the perfect fit every time. So, if you love trail running on the weekends, camping around the holidays, or just getting outside whenever you have a chance, this lightweight and durable pack is the perfect companion every step of the way. Get it for 68% off at $24.99 in The Daily Caller Shop.